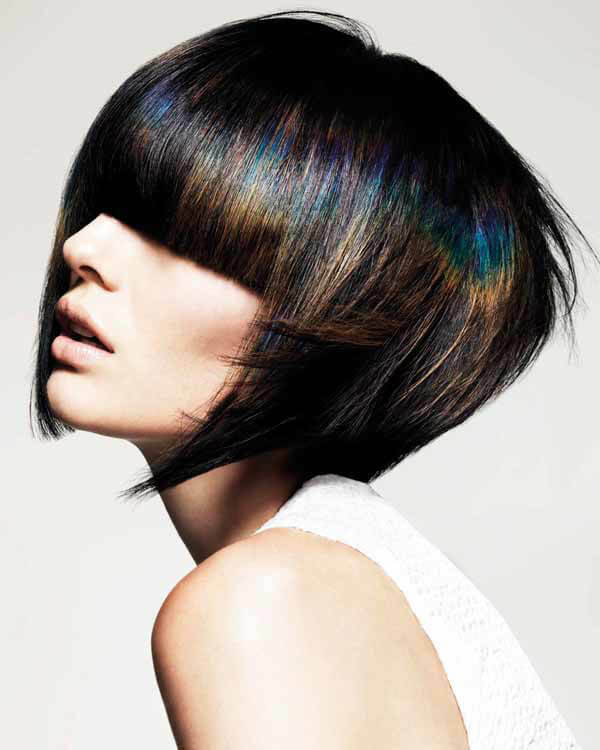 This dark black bob is stunning by itself, but the Petrol Hued hair color by Trevor Sorbie is just AMAZING! This is hair color, not Photoshop… stunning! More hair styles on Carey Mulligan movies.